A serious car accident can be one of the most important events of your life. Facing the both the long and short term effects of such a crash can be more than a single person can handle. Between the immediate loss of your vehicles to the mechanic or the scrapyard, serious injury that requires recovery, long term medical issues, loss of work and pay, legal issues, and others there is too much for an ordinary person to deal with all at once. You don’t have to go it alone, especially when you are at your most vulnerable. When facing such an event, remember that there are experts out there who have dealt with and vanquished such problems literally hundreds of times. When you are facing insurance companies that don’t want to pay, medical bills that could run into the hundreds of thousands, or other issues that are well beyond your current state to tackle, reach for the phone. Only an expert can assist you through this maze. See below for more information about resources that you can use to help you through these problems. Franklin County has seen its unfortunate car accidents. In 2013, the County witnessed 1,222 accidents, 634 injuries, and 18 fatalities, according to the Ohio Department of Public Safety. Some of these serious accidents are due to distracted walking, especially in this age of smartphones. According to Ohio State University, the cases of distracted driving accidents has increased sharply over the last several years. You don’t want to trust your future to just anyone. As you are recuperating from your injuries and are facing mounting bills, you need someone that will be able to fight both in and out of court on your behalf. A skilled attorney can be the most valuable resource at your fingertips. Anthony Castelli, listed as a Ohio Super Lawyer multiple times, has been lauded for both his legal experience and community service. His office is well respected, and with good reason. He’s helped hundreds of car and accident victims deal with the large corporations, irresponsible drivers, insurance companies and the government to get the compensation that they deserve. Call Anthony anytime for a free, no-pressure consultation at 1-800-447-6549 or come see us in person. Let us assist you and tell you how best to proceed. 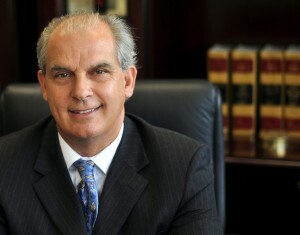 The Castelli Law Firm generally advances the costs of litigation. This is signed in the written fee agreement. If we don’t get results for you, you don’t pay a penny.